Although it’s already been pulled off the iOS App Store and the Google Play Store, I managed to get a copy of the .apk file and decided to play it on my phone. Seeing others’ experiences along with my own, I noticed there is a pattern to how the annoying little birds fly and crash. The bird is controlled by tapping the screen, which causes the bird to move upward shortly before falling down again. Unlike other similar games, the screen needs to be periodically tapped to keep the bird in the air. 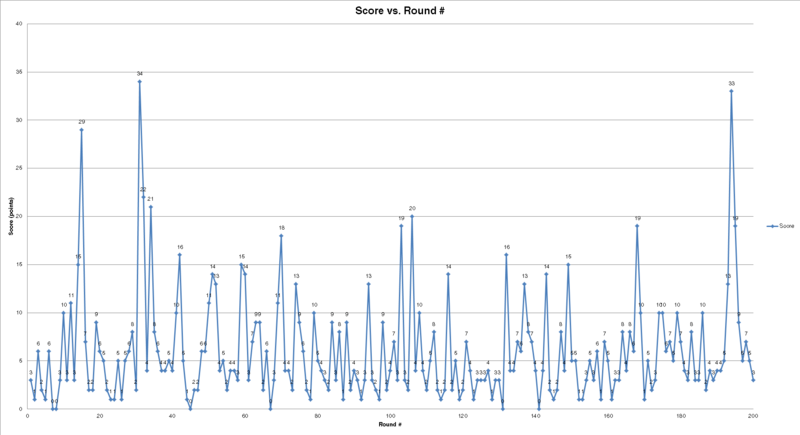 This is basically pulse-density modulation at work; each tap of the screen causes a rise of a fixed amplitude and duration. 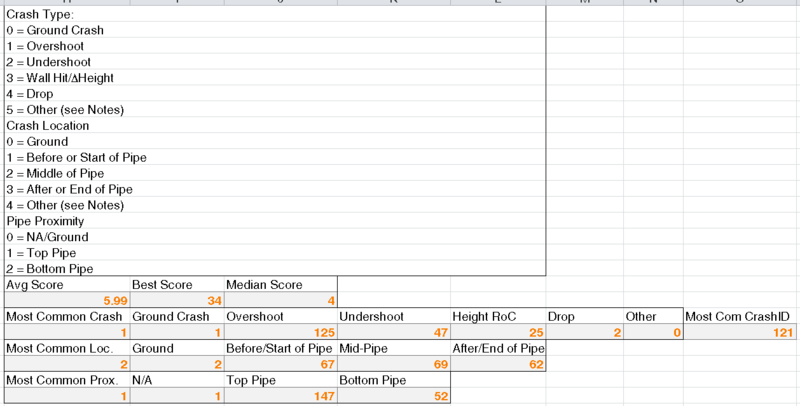 After playing over 200 rounds, I tabulated the data in a giant Excel spreadsheet, documenting the score along with how and where the bird crashed. 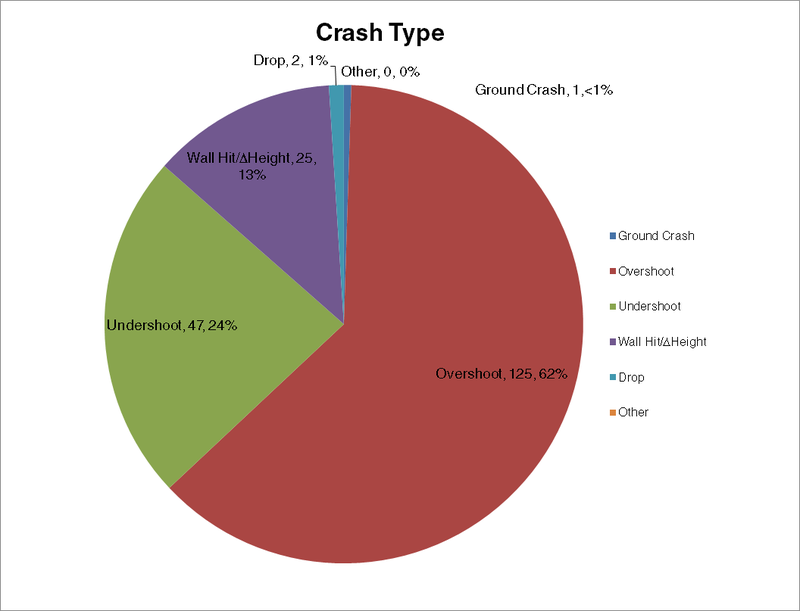 With this data, I created a bunch of charts showing how and where crashes occur. 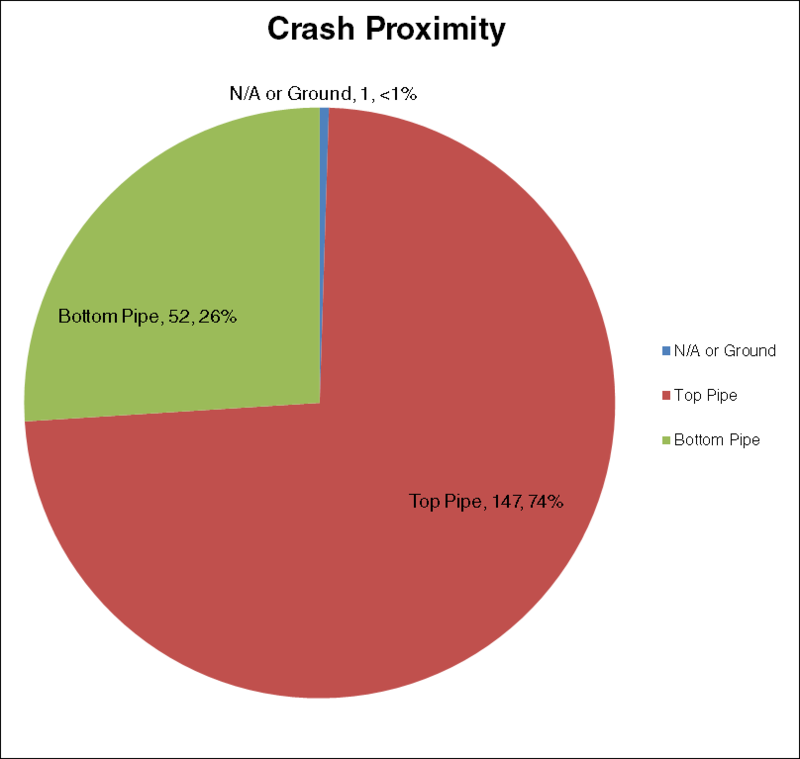 From what I’ve collected, the majority of crashes are overshoots (the bird flies too high and hits the pipe), hitting the top pipe either to the left side or in the center. This can be attributed to the bird’s behavior when flying. When the screen is tapped, the bird moves a certain distance upwards but cannot be controlled. 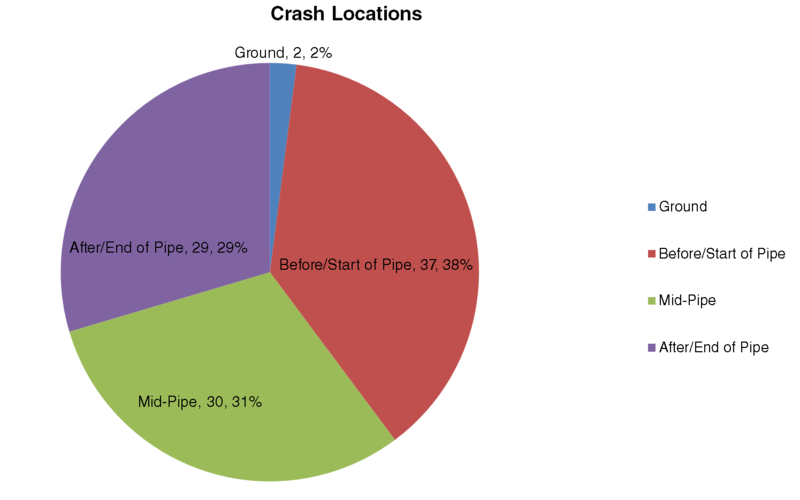 If the bird is too close to the pipe, an overshoot will occur and crash the bird. Was this a good way to cure boredom? Probably, but also possibly a bit too much work given the premise of this game. 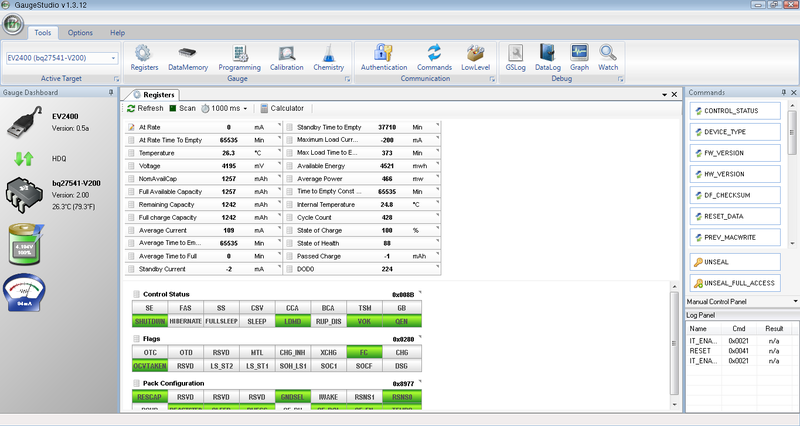 If you want a copy of the Excel spreadsheet, click the link below.